Find out how to collect Euro coins, with our guide to the different Euro coins available, the countries that issue the coins, the various designs and which coins are the most collectable. Nineteen member states of the European Union have the Euro as their national coin and with each of these states issuing up to two commemorative coin designs every year, there is lots of collecting potential. Euros have been issued since 2002 and so there are hundreds to collect. What are the Euro coin denominations? Euro coins are available in values of €2, €1, 50 cent, 20 cent, 10 cent, 5 cent, 2 cent and 1 cent. The common side of the 5, 2 and 1 cent coins shows a globe with Europe in relation to Africa and Asia, whilst the other coins (from €2 to 10 cents) show the European Union before its enlargement on 1 May 2004, or (from 2007) a geographical image of Europe. Each Euro coin, regardless of its country of origin, has a common side (showing the denomination) and a national side, showing the country of issue. The common side was designed by Luc Luycx of the Royal Belgian Mint. The national sides of Euro coins feature designs that relate to the country that minted the coin. Whilst some countries use the same design for each of their denominations, others have a different design for each coin value. The most common designs include coats of arms, national symbols and national landmarks. These can make a nice souvenir, with many collectors keeping an example of a Euro from every Euro-issuing country they visit. 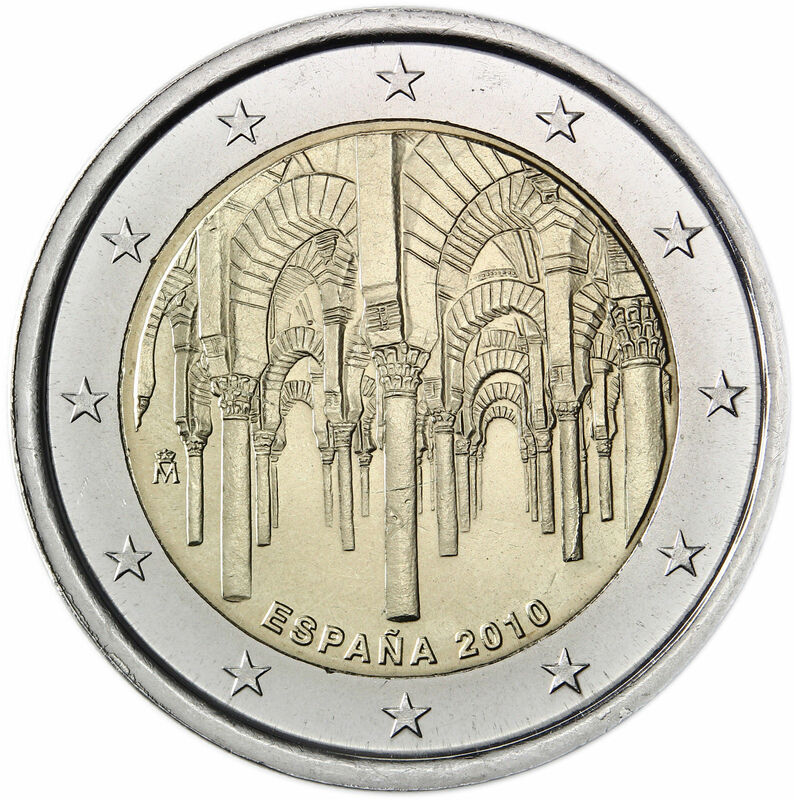 Commemorative designs are only allowed to be featured on €2 coins in order for the coins to be legal tender across the EU, so collectors will focus on this denomination. There are other commemorative values but they are not legal tender or only legal in the country of origin. Countries are permitted to issue two commemorative coins per year, and can apply to issue a third commemorative in conjunction with another European country. These commemorative issues feature a design in place of the usual national side, usually celebrating an anniversary, achievement or event. At the time of writing (December 2018) there are 292 commemoratives available. Which are the most collectable Euro coins? 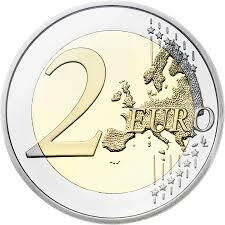 The majority of collectors focus on the €2 coin for the different commemorative designs. You could focus on the commemoratives of one particular country, or collect by commemorative theme or year. 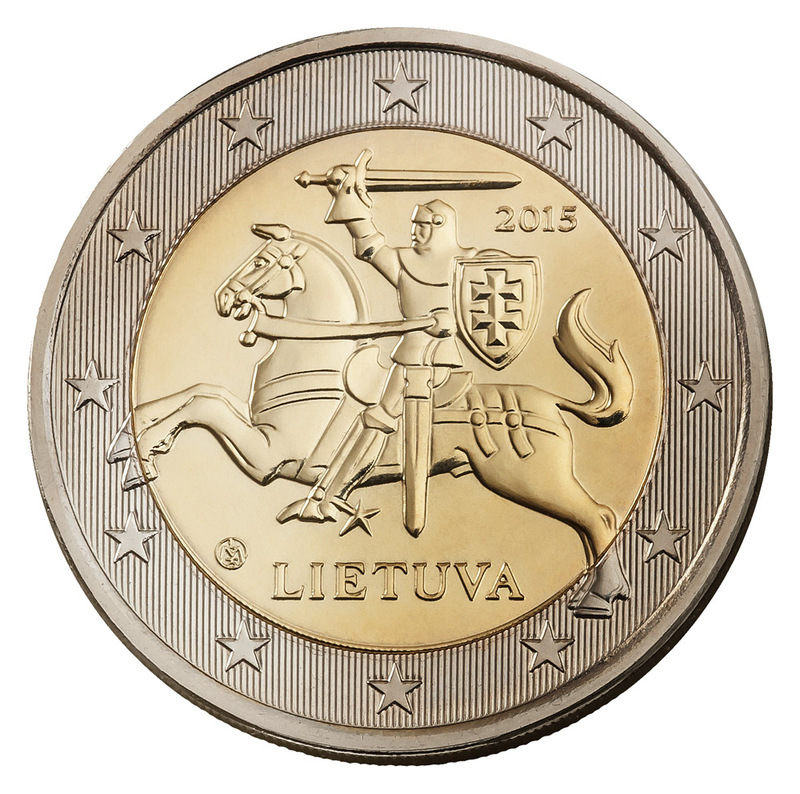 Since new commemorative Euros are issued each year, there are always new coins to find. Ten years of the Euro as an official currency (2012) and thirty years of the European flag (2015). Some countries have issued differently designed commemoratives for the same event or anniversary, such as the sixtieth anniversary of the Universal Declaration of Human Rights in 2008 (Portugal and Finland) and this year’s centenary of the Baltic States (Latvia and Estonia). The European Commission has information on the types of Euro coins, issuing countries and the different designs. European Central Bank has a useful overview of Euros, with history, security features, links to the websites of issuing mints and even a quiz. Euro Coin Collector is a blog and information site with lots of useful data and images on commemoratives, identifying marks and the care and storage of Euro coins. Coin Database has images and details of all 2 Euro commemoratives. QUICK LINK: How much is the Kew Gardens 50p worth?